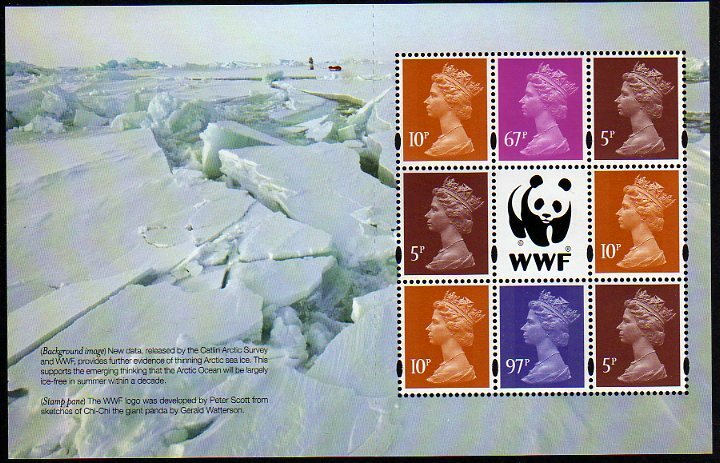 At last we have the Worldwide Fund for Nature stamps etc. 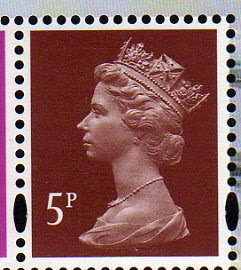 The colours used on the Machin pane in the prestige stamp book are interesting. The 67p and 97p are very similar to those in the London 2010 Festival of Stamps Exhibition Sheet. The colour of the 10p is completely different to the sheet stamps and the Exhibition Sheet, and similar to that in the Album Covers psb. 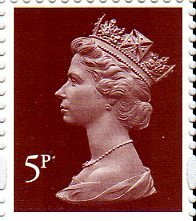 Specialists would certainly treat it as a different stamp, though which catalogues will distinguish it with a separate listing, even as a minor variety, remains to be seen. The 5p - this time using the correct font as on the sheet stamps - is quite unlike the ordinary sheet stamps and the 5p on the Exhibition sheet; it's similar to the 5p in the Album Covers psb, but possibly even closer to the colour of the 54p! Scanning and computer monitors don't always reflect the subtleties, so I'll leave readers to look at the real thing when you get it.